If you've read around my blog (and if you haven't, please do!) you will notice that a particular concern of mine is resisting sexism and gender stereotyping in the way I raise my daughter. From this, you may extrapolate that I am a feminist. The thing is, I don't actually know if I am. The trouble is that whenever I try to find a definitive definition of what feminism is, I run into difficulty. Because there doesn't seem to be a definitive definition. Different groups think different things about what it is to be a feminist, so it's really hard to work out if my values and way of life are compatible with the label. I'll read one thing and think, "yes, I agree with that!" Then I'll read something else and think, "oh, now I'm not so sure if I fit." On the one hand, I am a bit of a traditionalist, although perhaps an accidental one. I took my husband's name when we married, which some feminists would frown on. 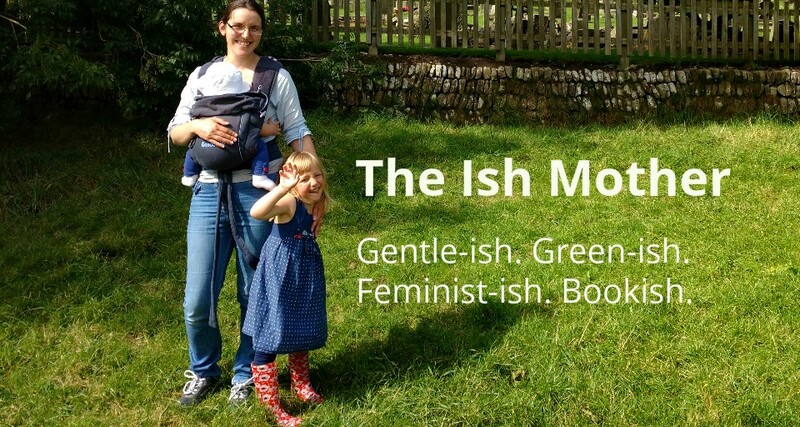 I left my job to 'stay at home' with my daughter, and while I do have my own business now, I do still think of myself as a mum first and foremost. I do the lion's share of the housework. And before I became a mum I had some very stereotypically 'female' hobbies, including knitting and baking. I do sometimes joke that I should have been around in the 1950's! But if I think more carefully about it, I'm not quite the anti-feminist walking cliche I appear to be on the surface. I had thought about double-barrelling my surname when we got married, but then we booked our honeymoon before we had the conversation and it hadn't occurred to me that they would ask what to put as my surname. In a moment of panic I blurted out my then-fiance's name, and that was that. Decision made. Besides, when I think about it, my maiden name was my father's surname so whatever I chose I'd have been named after a man anyway. It's similar with me leaving work when I became a mum. As I've mentioned before, I had every intention of going back to work, but then I was offered voluntary redundancy and, well, it made sense. I wasn't especially happy in my job and I intended to train as a teacher anyway, so why go back to a job that I knew I'd leave before long. Of course, the teacher training hasn't happened yet, and there are a number of reasons for that, but the main one is that my daughter seems to be particularly sensitive to separation, so I sought an option which meant I could be there for her as long as she needs me. It makes sense for me to be the one to stay at home at the moment as any regular job I could get wouldn't attract a salary we could live on - not because I'm a woman, but because I don't have the requisite experience or training. Then there's the housework thing. Yes, I do most of it, even though I now work at my own business. But the great thing about my job is that it's flexible - I can set my own hours, which means I can make time to cook tea, do the ironing, etc. My husband's job is not nearly as flexible and considerably more demanding in terms of hours, so again, it makes sense that I look after the house. When I had an office job, the split was far more equal, and when my husband is on holiday he helps out a lot. And besides, I'm hardly an obsessive housewife - the washing pile often reaches a critical point before I tackle it, hoovering happens once a week at best, and meals tend to fall in the 'can make in less than 30 minutes after husband is home' category. Maybe my ineptitude in this area cancels out the gender stereotype! What it all boils down to is that I've chosen this path. I made the decision to change my name, even if it was a spur of the moment choice. I didn't become a 'stay at home' mum grudgingly, but gratefully - I was so happy to have the chance to spend more time with my wonderful child. I'm less happy about the housework, but I certainly don't feel shackled to the kitchen sink, I just accept that I've got the lighter workload so it's only fair that I pick up the slack around the house. And isn't that part of what feminism is all about? The right to go for any role we want, even if that role is a 'traditional' one. The right to be a CEO, or a stay at home parent, or anything in between. Isn't it about having access to the same opportunities as a man, but making our own decisions about which of those opportunities are appropriate to us? I believe that men and women should be raised equally, educated equally, paid equally, treated equally. I am angered by the widespread treatment of women as second-class citizens, something which has been highlighted by a number of recent events, including the abduction of over 200 Nigerian schoolgirls, and the murder of a Pakistani woman for choosing her own husband. Interestingly, I am much more fired up about these things now than I might have been five years ago - whether this is to do with my age, or the fact I have a daughter of my own, I'm not sure. But it has made me realise that, globally, men and women are not even nearly equal yet. And that makes me angry. The creeping sexism in childhood - the pink/blue divide, the pointlessly gendered toys, the pressure on girls to prettify themselves and boys to play it tough - makes me angry too. I hate that my daughter could be forced into a pigeonhole she may not want to fit in by this bizarre swing in attitude toward childhood. So, does that make me a feminist?